Hey everyone. Travis here with some Tampa Bay Tourism news for you all. If you&apos;ve ever cruised out of the Port of Tampa, you know how great the facility is. Well, they have reached a new milestone!!! The Port of Tampa set a record for single day passenger throughput this past Sunday, Nov. 20 with an estimated 12,623 people going through its doors! That&apos;s A LOT of people coming and going! Building off their recent success, this achievement was the result of three ships being in port: Holland America’s Ryndam, Carnival Corporations’ Carnival Legend and Norwegian Cruise Lines’ (NCL) Norwegian Star. This definitely proves what a great port this truly is. While NCL recently chose to homeport the Norwegian Star at the Port of Tampa, Carnival and Royal Caribbean both use the port extensively. 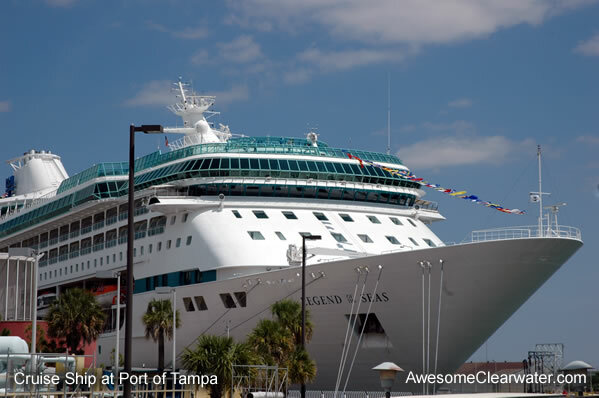 So, a huge congrats to the Port of Tampa, and a huge THANKS to everyone who has decided to cruise from Tampa Bay. We hope to see you again soon. Until then, we&apos;ll see you back here for more news about what&apos;s happening in the area, including Tampa Bay area events and Tampa Bay Entertainment options.